Enter Account Key and API Key (Request WorkflowMAX	for Account Key and API Key). Load WorkflowMAX page in SimplePay, and go to Import Data Tab. Under Manage Employees panel, number of employees created in WorkflowMAX	will be listed which are not imported in SimplePay. Employees data will be loaded in editable form. 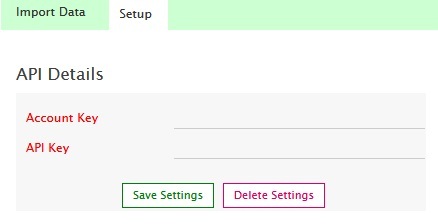 Make any required changes and press Save data button. Employees will be imported into SimplePay. 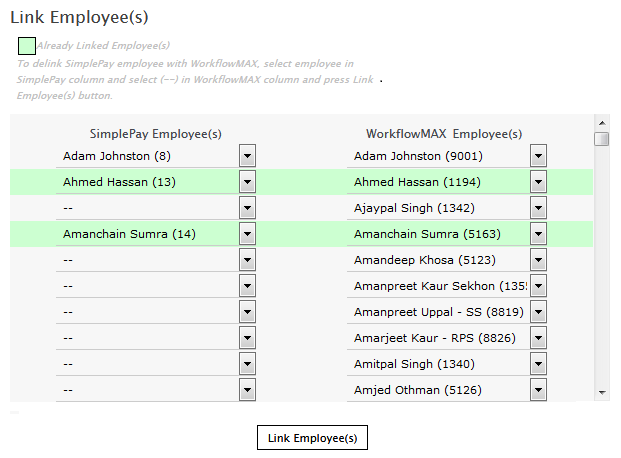 Timesheet will be imported for ONLY those employees/staff who are imported from WorkflowMAX. Load WorkflowMAX page in SimplePay. Load Import Data page from top right of the page. Press import data button to import timesheets from WorkflowMAX. If more than 24 hours have been entered in WorkflowMAX for single day, SimplePay will discard Timesheet record which exceeds daily limit of 24 hours.